I have seen some homes in Greece around the internet and I found them interesting because of their designs. 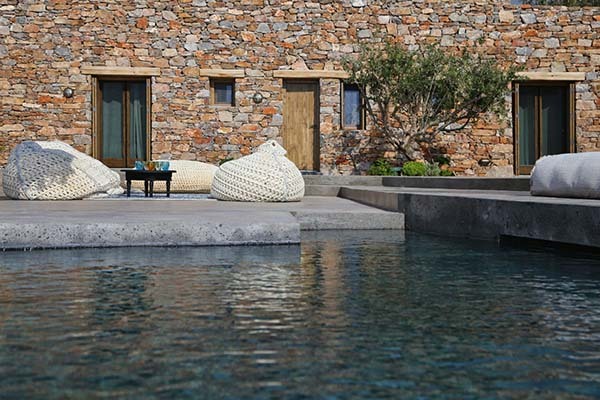 I guess, this is the first villa from Greece that we will feature here on Home Design Lover. 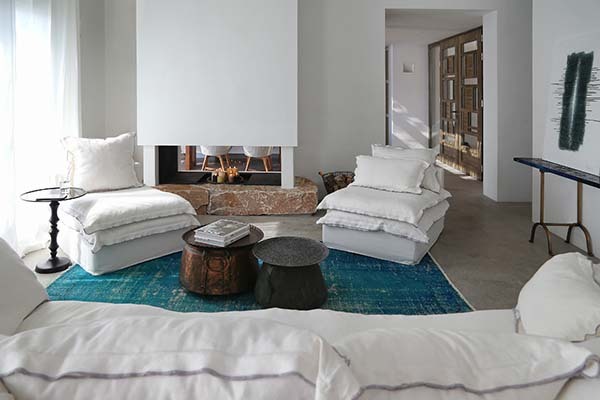 It does have a minimalist look but has that natural appeal with the use of stones and other organic materials. You can also see some nature-inspired decorations too. 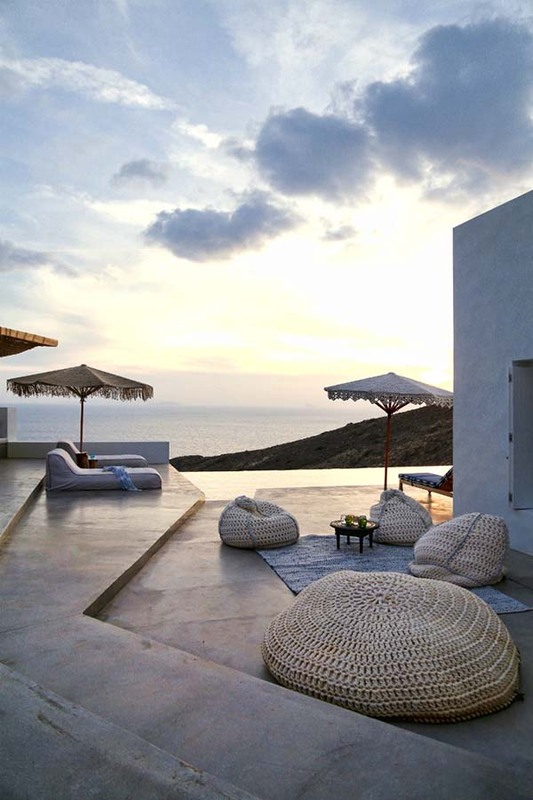 The Residence on Syros II is a beautiful summer house that could accommodate a family of four and guests on the island of Syros, Greece. Its location has a steep and somewhat intense geography. It can be accessed using an expansive staircase leading from the top of the hills towards the house. 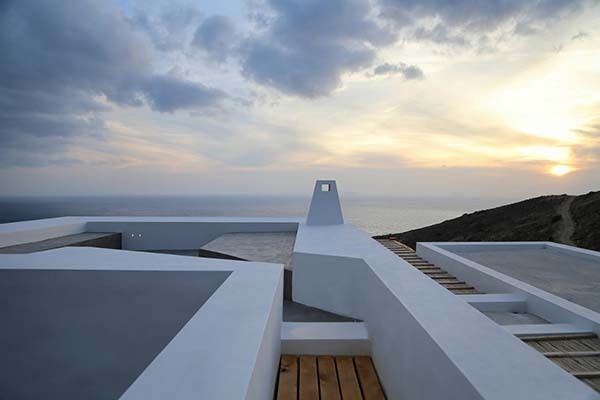 Volumetric main areas of the villa surround the entryway of the house that culminates to a large opening where one can see the expansive views of the Aegean Sea. This 2,163 square feet (201 square meters) is comprised of the public areas, living room and kitchen. Meanwhile, the private bedroom areas are segregated into a partially buried rectangular volume. 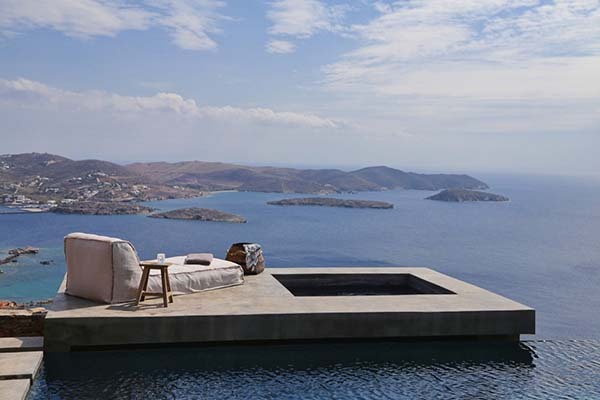 The villa faces the ocean giving it a panoramic view of the waters. You can see here a courtyard that where one can lounge and kids can play. Stones are commonly see in the local architecture of Greece just like this one. The design of the place makes it even more relaxing. A nice place to de-stress indeed! 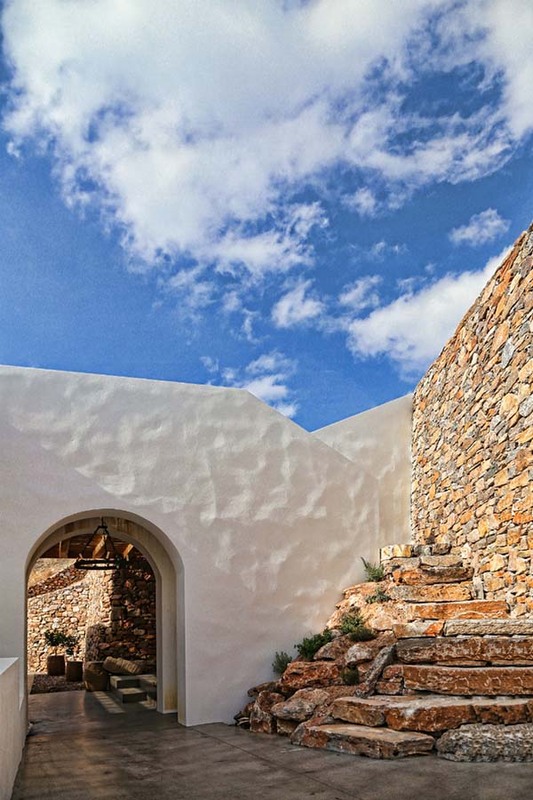 The backdrop of stone walls is indeed something we are all familiar of homes in Greece. A continuous view to the outdoors can be availed from the house. The main volume features an open floor plan with cozy living spaces adjacent to a fireplace. 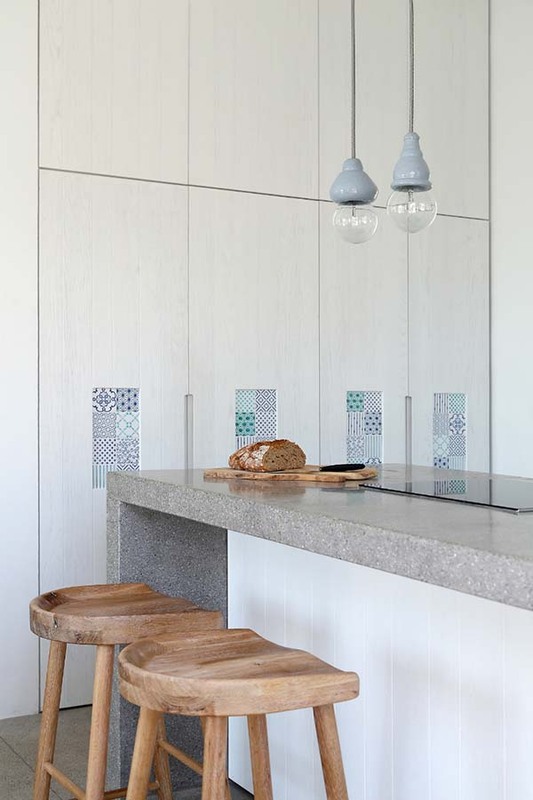 Love the subtle addition of patterns in the walls as seen here. 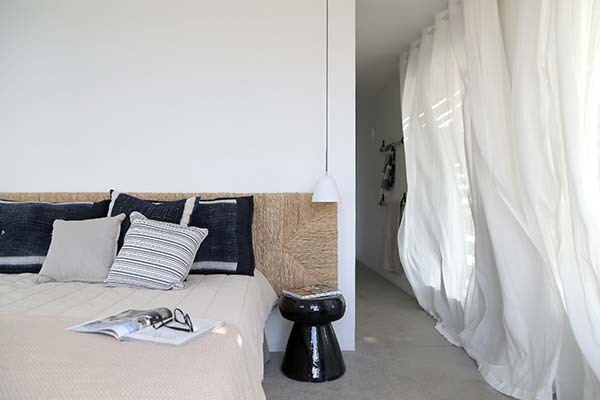 Anyone could doze off easily in a cozy and dramatic bedroom like this. 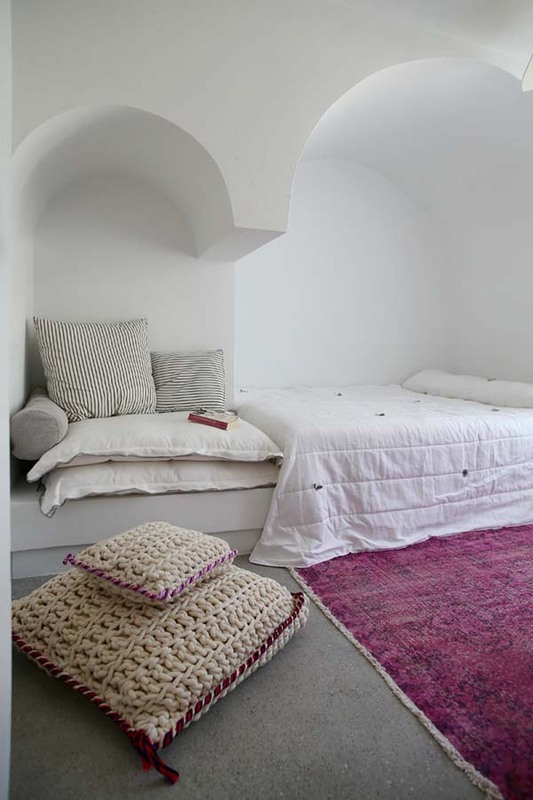 While this bedroom has a romantic feel with that total “Greece-look” in it. A part of the guest house is buried which is something that is intriguing for this design. And more stone walls can be seen! Trees like that can also be seen in many areas of the outdoors. A glimpse of how lovely the sunrise looks like from the villa. Do you want to lounge here? I am sure you would love to! 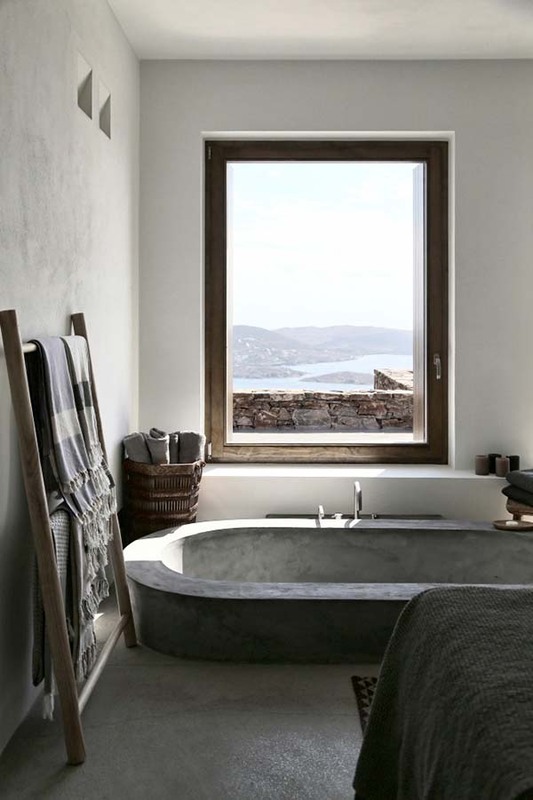 And this is a look at the bathroom of the house with a stone bath tub. So pretty! One unique feature of this house is the guesthouse that is buried into a slope and defined by a stone wall. There are two open courtyards protected from the sun as well as a central area best for lounging. This house is designed by Block722 will surely give you a different idea of summer! The sunrise and sunset here looks very much pleasing. It would be an experience you can never forget!